Looking for adventures in metal? Then Extol's stunning new release is just the album you need, as this thirteen-track barrage of jawdropping genre-hopping and mature savagery will convert even the most stubborn of metal fans and those who think they've heard it all. Pushing boundaries much like Opeth, but with their ears a little more open to the mainstream, songs like "Gloriana," "Void," and "From the Everyday Mountain Top" portray a band whose unmistakable Norwegian roots are contorted in ways never before heard, yielding the type of provocative listening experience reserved for bands such as Faith No More, Neurosis, and Melvins. 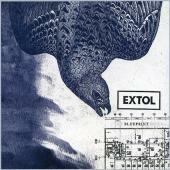 Staying heavy yet straying away from formulaic compositions, Extol's latest album is a rousing display of a band unafraid to go the extra mile. For more information visit www.extolweb.com. Oh my, what have we here?! 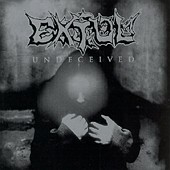 Extol, hailing from Norway, play neither melodic death metal or old school death metal. Rather, Extol have journeyed down the less beaten path of progressive metal with touches of death metal, melodic death metal, and symphonic black metal. This is such a rarity - a breath of fresh air in a crowded metal scene of copycats and pretenders. Extol create their own set of maniacal biorhythms despite some of the obvious influences such as At The Gates. Extol utilize clean vocals and harsh, raspy vocals in equal amounts. Extol also prominently deploy acoustic guitars, violins, cellos, and assorted brass instruments to add vibrant colors to the jagged exterior. The combination is a bit unsettling, unnerving, and completely rewarding. Extol's aggression is not borne by hatred or spite. The lyrics are definitely pro-religion which also flies in the face of most metal bands. Religious references are mostly covert and shrouded in metaphor and only occasionally slip into explicit references. "Undeceived" is an intriguing effort all the way around. Extol is Peter Espevoll on vocals, Christer Espevoll on guitar and backing vocals, Ole Borud on guitar and clean vocals, Tor Magnes S. Glidje on bass, and David Husvik on drums and backing vocals. 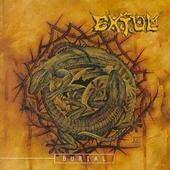 Extol is from Oslo, Norway, and they are a Christian metal band. They have been known to play Black, Progressive, Progressive Death, Melodic Death, and Thrash metal. This release is power metal with some old school death metal and traditional heavy metal mixed together. Only two songs, "Renhetens Elv" and "Innbyselse," are in Norwegian; the rest of the songs are in English. A lot of people think that Norwegian metal bands are required to roll out the black carpet and stomp glass along it while producing brutal beats with dark and Satanic lyrics. Extol don't subscribe to that and each member is a Christian with lyrics that tell about God and how he can save us. I'm sure many fans of Death Metal think that bands like Extol are invading their territory but if you listen to the music you would never know until you opened the liner notes for a closer look. Whether it�s the music or the message you want, Extol deliver in both areas. I'm not a huge fan of their music and sometimes I don't listen to them for a while because it's just too intense but at least there is a choice in the lyrical department. This disc was their debut and what a first step it was; if you haven't ever heard them I invite you to give them a shot, I think you will be impressed. Extol: Peter Espevoll � grinding vocals; Eystein Holm � bass; Christer Espevoll � guitar; David Husvik � drums, back ground vocals; Ole Borud � guitars, flute, clean vocals, and back ground vocals. For more information, check out http://www.myspace.com/extol. Copyright � 2009 by R. Scott Bolton. All rights reserved.